The most anticipated round of <?xml:namespace prefix = st1 ns = "urn:schemas-microsoft-com:office:smarttags" />Malaysia Golf Idol 2009 finally closed its curtain with the Grand Final that has finally gathered the Top Gross Winners from all over Malaysia qualified from Semi Final Round at Bukit Kemuning Golf & Country Resort last August. Held at SHAN SHUI GOLF & COUNTRY RESORT _ “The Augusta National of Malaysia” from October 19 to October 22, 2009 where all the Grand Finalists, many of them have known each other for being the top ‘Crème de la Crop’ players in our local amateur scene, finally got a chance here to compete against each other over 36 Holes for the “Title” MALAYSIA GOLF IDOL 2009 and to win the Grand Prizes for both the Champion and his Home Club. Leading on Day 1 was NOOR SALLEH HJ UDIN (hcp 5) from Sandakan Golf Club with 78 Gross leaving behind his closest rivals FAIZUL HAFIZ ZULKIFLI (hcp 4) at 2nd place with only one stroke behind while the Eventual Champion ABD MOHD KHALIFAH ALI (hcp 2) from Kelab Rekreasi Tentera Udara Kuantan, was at 3rd with 80 Gross. On Day 2 the Leader NOOR SALLEH HJ UDIN however did not manage to keep his cool since the 1st Hole when he only carded 89 Gross to finish 2nd over 36 Holes with Total Gross Score 167 while tournament favourite, Mohd Shukri Awang (hcp 4) from Penang Golf Resort who has been consistent throughout the year being the champion for both Northern qualifying Round and the Semi Final Round before, has to withdraw on Day 2 at hole 11 after trying so hard until he picked up an injury. 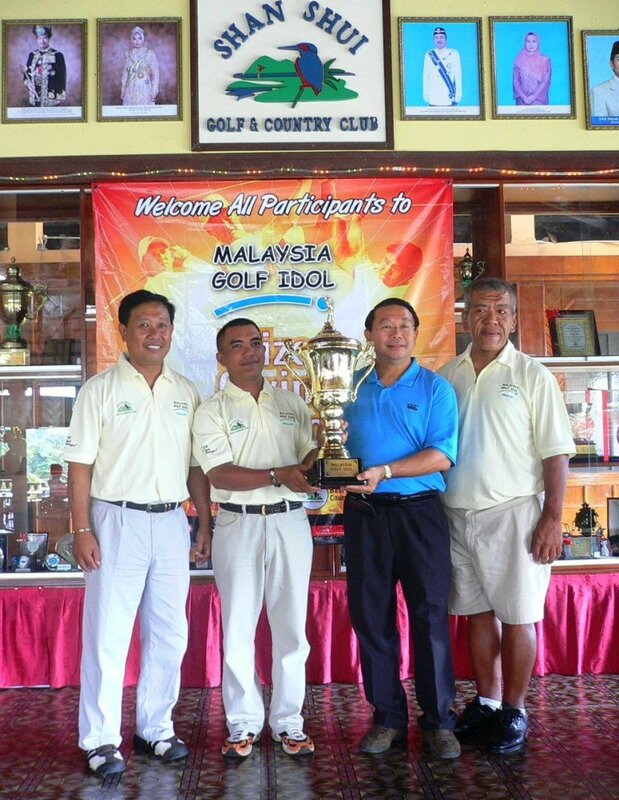 Meanwhile, the newly crowned Srixon-Desaru 2009 Champion, 3-handicapper Chan Soo Keong who was expected to give a stiff competition among the finalists only manage to secure 6th placing overall after he carded 91 and 89 respectively. On the other hand the Eventual Champion ABD MOHD KHALIFAH ALI have shown a consistent golfing display for both Day 1 and 2, carded the lowest Gross Score on Day 2 with 84 Gross to be finally crowned as MALAYSIA GOLF IDOL 2009 with total 164 Gross over 36 Holes.